Hanks reprises his role as a Harvard Symbologist, Robert Langdon, who teams up with Jones’ Dr. Sienna Brooks to help him recover his memories. 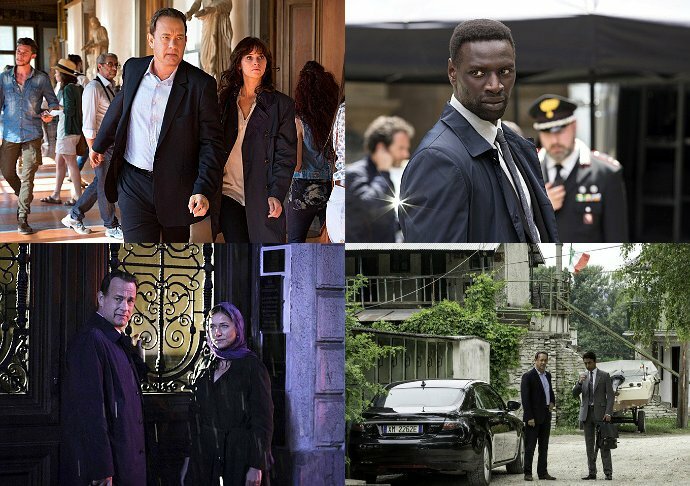 It’s been a while since fans last got some details about the adaptation of Dan Brown’s “Inferno”, and now they may be pleased as 20th Century Fox has released some new stills. One of the pictures provides a first look at Felicity Jones as Dr. Sienna Brooks, who is on the run alongside Tom Hanks’ Robert Langdon. There is also a glimpse of Langdon talking to Sidse Babett Knudsen’s Dr. Elizabeth Sinskey in the middle of the night. In another snap, the symbologist is seen having a conversation with Irrfan Khan’s Harry Sims “The Provost.” Meanwhile, the last picture shows Omar Sy as Christoph Bruder. However, Ben Foster, who is said to be the villain in the upcoming movie, is noticeably absent. Filming mostly took place in Venice, Italy. The follow-up to “Angels & Demons” follows the Harvard symbologist as he finds a way to cope with memory loss. He teams up with Brooks, a doctor he hopes will help him recover his memories and prevent a madman from releasing a global plague connected to Dante’s immortal tome. The movie is based on the fourth installment in Brown’s book series which started with “The Da Vinci Code”, skipping the actual third book “The Lost Symbol”. 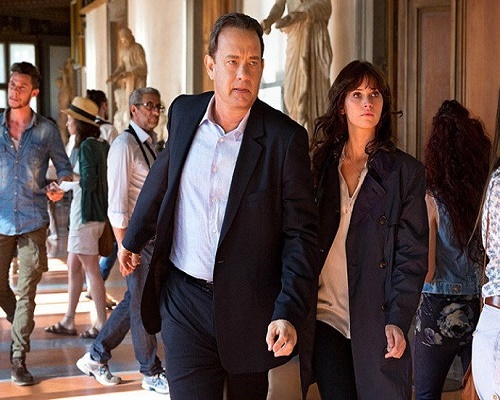 Directed by Ron Howard, “Inferno” is slated for a U.S. release on October 14, 2016.